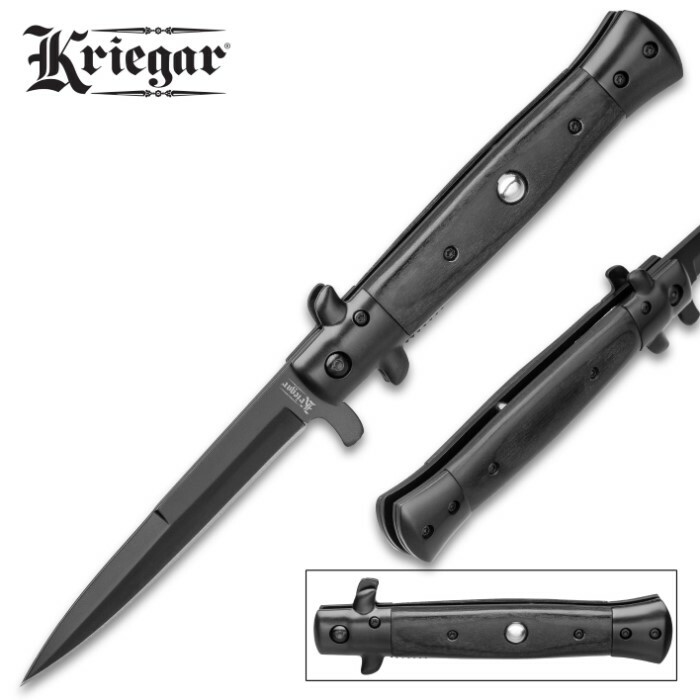 Kriegar Black Stiletto Assisted Opening Pocket Knife - Stainless Steel Blade, Non-Reflective, Wooden Handle, Pocket Clip | BUDK.com - Knives & Swords At The Lowest Prices! 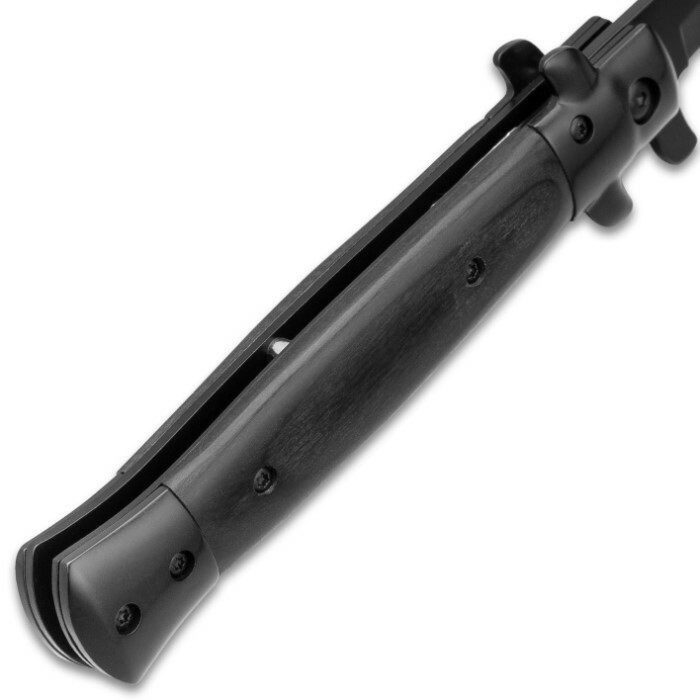 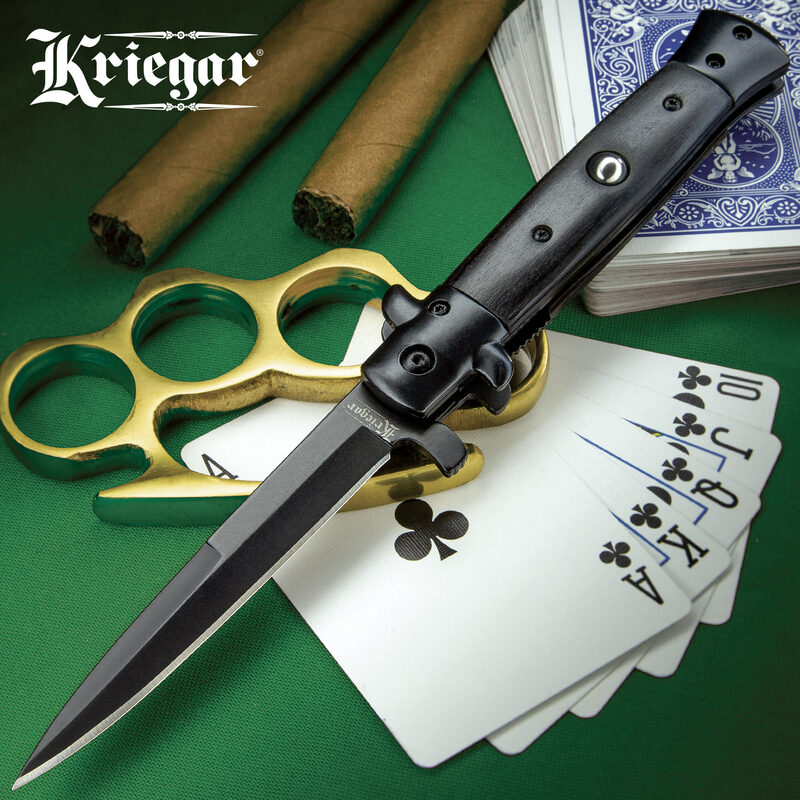 The Black Stiletto Assisted Opening Pocket Knife from Kriegar is a tactically sleek everyday carry stiletto knife that tackles daily tasks with no problem. 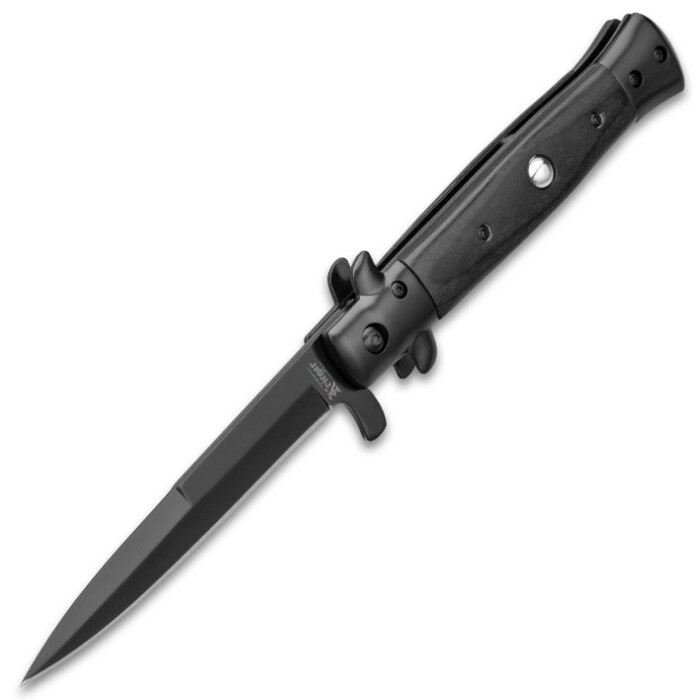 The razor-sharp 4” stainless steel blade has a black non-reflective finish and can be smoothly deployed with the assisted opening mechanism. 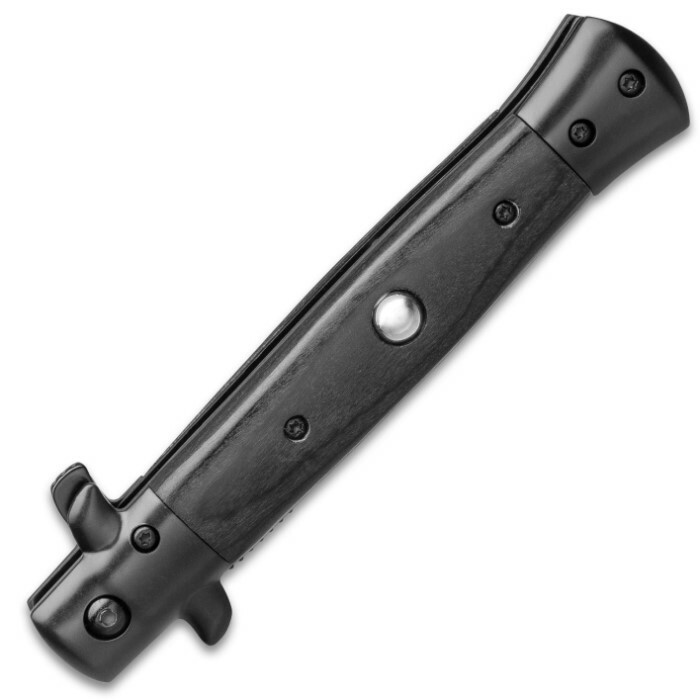 The handle has tightly secured, black German wood handle scales and features non-reflective stainless steel bolsters and pins. 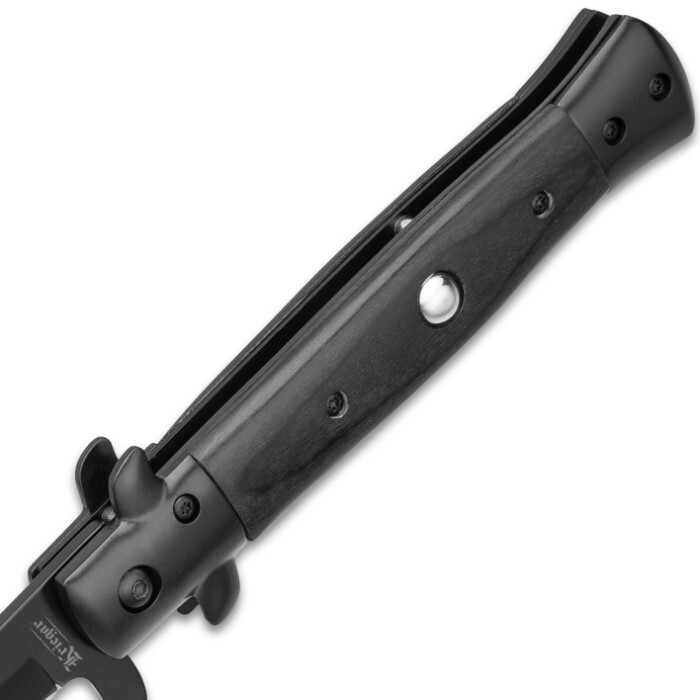 If you’re looking for the right pocket knife for the job, look no further!